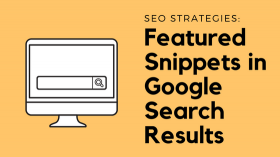 Google’s standard search engine results pages (SERPs) typically feature a list of relevant pages related to a user’s search query. However, for some queries, Google SERPs also include a featured area at the top of the page that excerpts content from one of the search results and provides a quick answer to a user’s question. 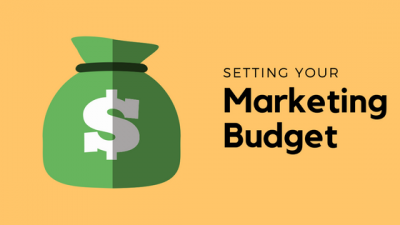 How Much Should You Spend on Your Marketing Budget? New and old businesses alike often wonder how much of their overall budget should be spent on marketing. In 2019, more than $103 billion will be spent on search engine marketing, social media marketing, display advertising, and email marketing. However, most businesses do not have million of dollars to invest in digital marketing. So, just how much of your budget should you spend in this area? The amount you should spend on marketing depends not only on the size of your business, but your industry and business goals as well. In general, businesses that are around one to five years old should use about 12 to 20 percent of their revenue on marketing. Businesses that have been around for more than five years should use about 6 to 12 percent of their revenue on marketing. 1. First things first: create valuable content. 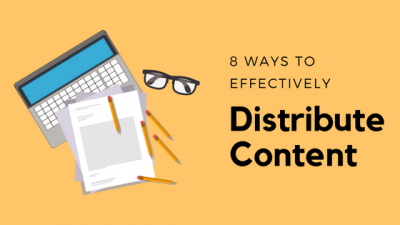 Your content distribution and marketing efforts will be in vain if the content is of low quality and is not engaging. Provide your target audience with content that is interesting and of value to them, and you will see a high return on investment (ROI) for your content marketing. 1. 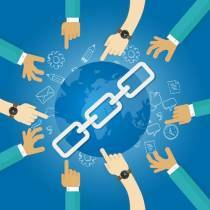 Seek backlinks from authority sites. Search engines place value on sites that are linked to by authority sites. Authority sites are sites that have a high domain authority and provide valuable, accurate content. They are trustworthy. You can gauge whether a site is authoritative by looking at a number of factors, including the domain authority and keyword rankings. You can also measure a social site's authority by looking at the number of followers on the site and the number of comments posted under the site's content. 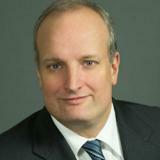 In addition, examine the website’s social media presence. Are the site's managers posting consistently, and is the content they are posting valuable? Plan your content around relevant keywords. Users look for content using keywords (the search terms they type into search engines), so the content you create should be determined by keyword research. Keywords should not be an afterthought. They should be used as a source to organize your content and inspire ideas. Research the best keywords using Google. Make a list of keywords by using Google’s search engine results and Google’s Keyword Planner. Search for different terms on Google and track the number of times the keywords showed up on Google’s search engine results pages (SERPs). Scroll toward the end of the SERP to view the list of “search related” terms for an idea of the kinds of keywords you can use. You can use Google’s Keyword Planner to measure the number of times a keyword or phrase is searched for and how competitive a keyword phrase is. Pro tip: Don’t use a keyword that is too high or low in competition. Aim for keywords that have medium competition and a healthy search volume. Focus specific pages toward certain keywords. Stuffing as many keywords as possible into a single content page is ineffective, and it will result in low-quality content that does not rank well in SERPs. It is extremely difficult, if not impossible, for a page to rank high for several key terms. Opt for a website that has a high volume of content pages and target certain keywords on each page. The total number of pages you will need depends on the subject of your content and what key terms you want to target. Link internally. Linking the pages within your website together is one of most effective ways of building a SEO-friendly site. Internal links within your content establish your website’s architecture, which will allow a search engine to “crawl” your site looking for information to organize its search index. Internal links also help your users to find relevant or related information more easily on your website. Users spending more time on your site contributes to your website’s rankability on search engines. Monitor your SEO performance. 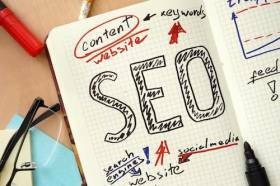 There are numerous tracking tools to measure the success of your SEO strategy. Be consistent with measuring your site’s search ranking and implement changes that may need to be made if your site is not doing well on SERPs. Developing content that ranks high on search engine results pages can be difficult and time-consuming. The online marketing professionals at OVC Lawyer Marketing, Inc. can help you build an effective SEO strategy, which will bring more traffic to your website as your rankings on search engine results pages improve. Call our team at 630-635-8000 or contact us online.